NEW YORK — YouTube is making a bold step into original programming in an entertainment venture with some 100 content creators, from Madonna to The Wall Street Journal. The Google Inc.-owned video site said Friday that it's launching more than 100 new video channels. The partners include an array of Hollywood production companies, celebrities and new media groups that will produce mainly niche-oriented videos. YouTube is shelling out $100 million to producers, according to people familiar with the matter, who spoke on condition of anonymity. The money is an advance on advertising money the videos will bring in, and Google will recoup its portion first before splitting the proceeds. Advances are as high as $5 million per channel, said another person familiar with the arrangement, also speaking on condition of anonymity. Neither person was authorized to comment publicly on the matter. Google declined to offer financial details of the deals, but said the majority of revenue will go to partners. Participants include Madonna, former NBA star Shaquille O'Neal, comedian Amy Poehler, actor Ashton Kutcher, "Office" star Rainn Wilson, spiritual doctor Deepak Chopra and "Modern Family" actress Sofia Vergara. Most are creating channels through their production companies. Madonna is a partner with the dance channel DanceOn, while O'Neal plans the Comedy Shaq Network. Lionsgate is presenting a fitness channel, and other channels will be launched by news satire the onion, professional wrestling's WWE, online magazine Slate and news service Thomson Reuters. The channels will roll out beginning this month, though most will premiere next year. YouTube says the channels will add 25 hours of new original content daily, with dozens of Web series debuting at scheduled times. 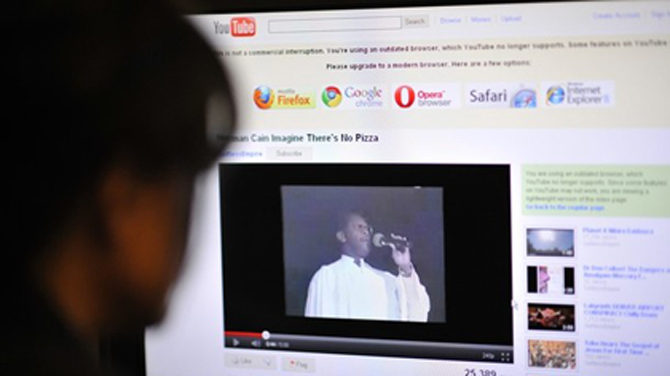 Ultimately, YouTube is aiming to create a new digital video platform that will rival television programming. In a blog posting Friday night, YouTube said the channels are being developed "specifically for the digital age." The video site compared the expanded video offerings to the advent of cable television. YouTube has tried to build a more advertiser-friendly product of professional-quality video, as opposed to simply user-created videos. Advertisers generally prefer to have their ads matched with known quantities. YouTube has also previously tried to urge viewers to stay longer with TV-like services like the YouTube Leanback, which continuously plays a personalized selection of videos. Google is also looking to add professionally produced content to its huge roster of user-generated videos, to give users of its Google TV platform something to watch. Major Hollywood networks such as News Corp.'s Fox and The Walt Disney Co.'s ABC have blocked their content from being shown on Google TV because the sides have been unable to come to a licensing deal that the networks believes pays them fairly. Networks also don't want to jeopardize their lucrative relationship with pay TV distributors like Comcast Corp. and DirecTV. Google is a platform that has been adopted by set-top box maker Logitech, which makes a device called a Logitech Revue that sells for $100.